After months of empty talk, Shum and I finally tried the churros at Molten Lava in 1 Utama. 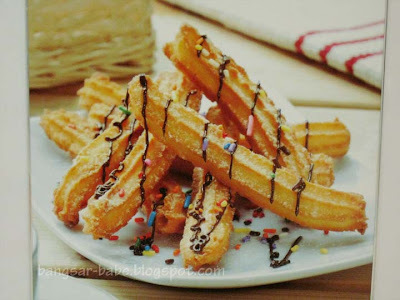 (Churros are a type of Spanish doughnut made from sweet potato dough and deep fried till crunchy.) 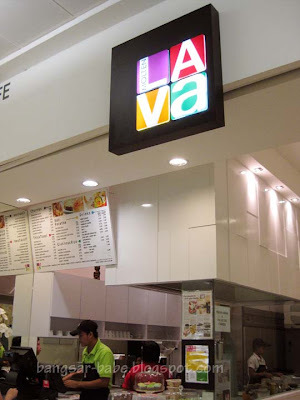 Besides a range of churros, they also sell cupcakes, carrot cake, roti prathas and toasts. 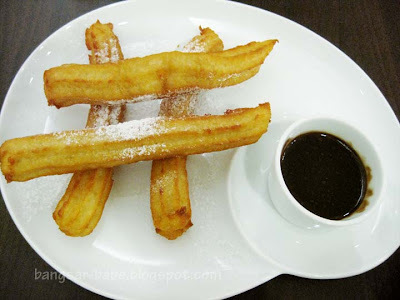 We settled for the Churros with Molten Chocolate Lava Dip (RM5.80), which was freshly fried and dusted with icing sugar. Beneath the crispy exterior was a warm, pillow-y soft centre that was not overly sweet. A pity the chocolate dip was diluted; it did not coat the churros nicely. Verdict: The churros is lovely, but the same cannot be said about the chocolate dip. Interesting. Never had a churros before. I wonder what are dips they have? 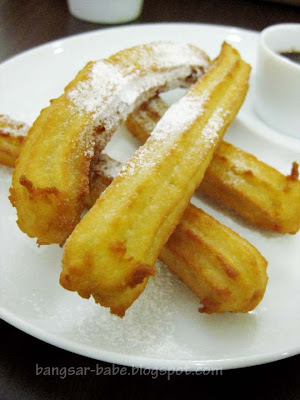 pardon me, first time hearing the term – churros….i wish i can try it one day! 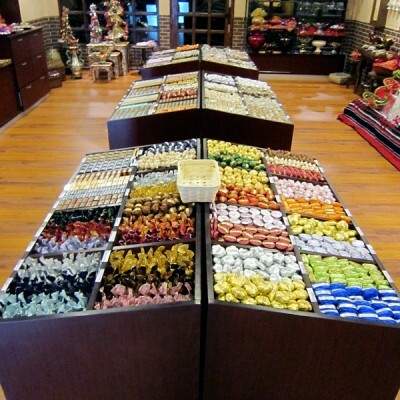 SimpleGirl – I didn't know of this snack either…until very recently. 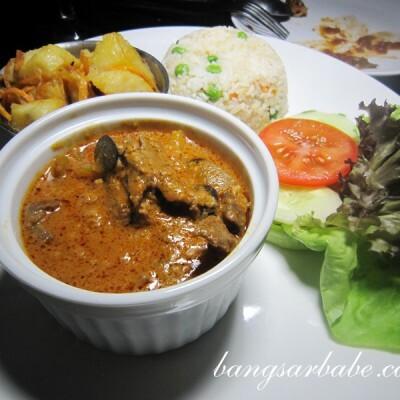 Wilson – They have kaya dips…chocolate dips…cinnamon dusting..and sambal dip too! leo – I think it's nicer…hehe! i'd love to see u sitting on the high chair !! mmlee81 – Churros after a pork fest, I like! Churros are really easy to make 😉 Mix regular all purpose flour with the same of amount of water in a bowl. Then you will get a dough. 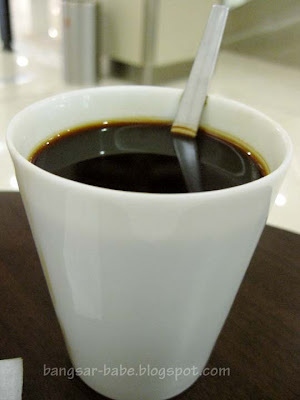 Place it in a piping bag and pipe it in a long shape into hot oil. Deep fry it and then you’re done.